Hundreds of farmers from a number of communities in Armenia continue to hold protests and demand payments from distilleries for the grapes they sold to them still last year. On Thursday, some of them from the Artashat region came to Yerevan to raise the issue in front of the government. They said they have for several months demanded payment from a local winery, but to no avail. According to the grape-growers, despite a promise that their produce would be purchased at a price of 140 drams (some 30 cents) per kilogram, eventually the company bought it for 40 drams (8 cents). But they say they have not received even that money yet despite repeated promises. Many say they have to repay debts and because of the situation cannot prepare their vineyards for the new season and will thus incur losses this year, too. “We don’t want anything from anyone, all we want is the money that we earned with our work,” said one farmer, complaining that due to lack of money they cannot do a lot of work required during this time of the season to ensure a good grape harvest. A representative of the Winar company, who approached the protesters, said they were waiting for the final banking clearance of a loan of more than $100,000 to repay part of the debts. He promised that all debts would be settled by the end of the month. Deputy Minister of Agriculture Robert Makaryan also approached the protesters and indicated June 1 as the deadline for settling all debts. The farmers, however, did not trust the promise and marched towards the presidential office where their delegates were received by officials and again were urged to wait for one more day. Prime Minister Hovik Abrahamyan held consultations with representatives of grapes processing companies at the beginning of this week, ordering the ministers of economy and agriculture to continue discussions with the enterprises and, considering the current situation in the region, to assist them in finding new markets and in overcoming their existing problems. 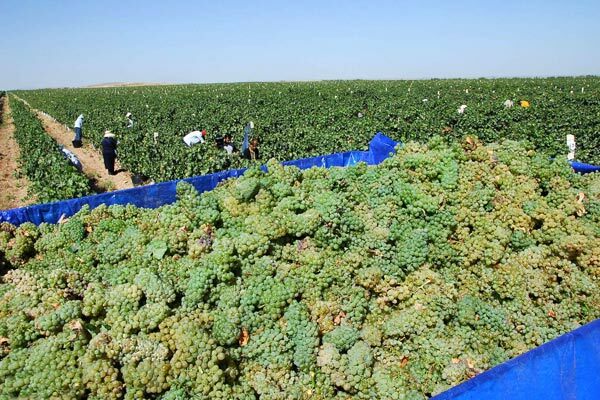 Last year saw a bumper yield of grapes in Armenia, which revealed some problems in the country’s winemaking industry connected with its capacity and sales markets. In conditions of the surplus some processing companies refused to take in more grapes than they needed even when the purchase price fell dramatically. At one point it even became a social and political matter, with processing companies encouraged at the government level to purchase grapes from farmers who would otherwise have to dump their produce.